Kasturba Aur Gandhi, written by Rajesh Kumar, is based on personal relation & discussions between Mahatma Gandhi & Kasturba Gandhi. 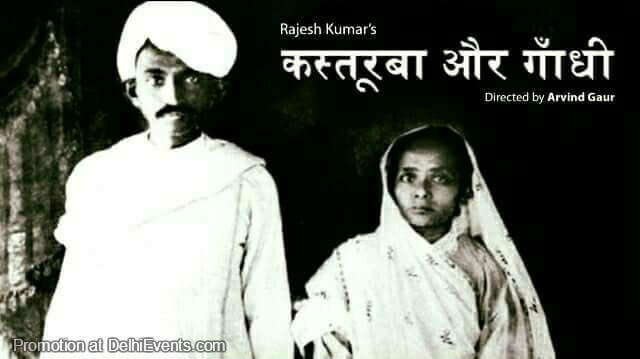 The play shows Kasturba’s reactions in contradiction with Mahatma Gandhi’s experiments. It is a powerful & intense play which highlights Kasturba’s character, decision making power & direct approach.